John Henry Irons was an inventor for the army, but he quit and became a construction worker. 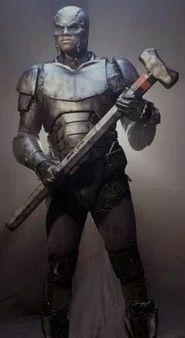 Shortly after the battle between Superman and Doomsday that ended in their mutual kill, John Henry found out that the street gangs of Metropolis were using the weapons he developed for the army, so John Henry decided to follow Superman's legacy, forging and donning an armor that made him a literal "Man of Steel". 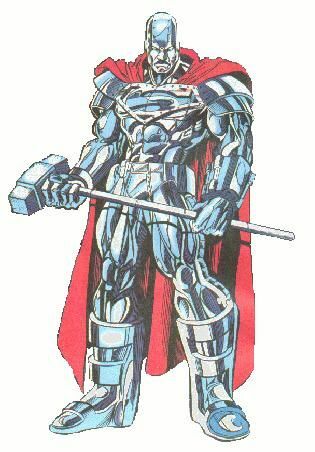 After the real Superman returned from the dead, the Man of Steel shortened his appelation to "Steel" and became one of Superman's closest allies, and later a member of the Justice League. Last updated by MCollector on April 13, 2019. Contribute Profile Information for Steel.